Dogs are a big responsibility. There is so much you have to do for their care whether it be spending time or money. But all the benefits I get in return more than make up for it. Below is a list of all the things I do for my dogs. Below that is a list of what my dogs mean to me. Compare it to your own list and tell us what your dogs mean to you. 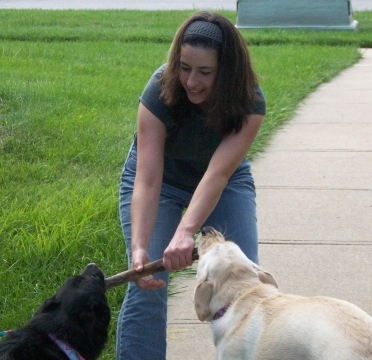 De-stress – If I get a little frustrated or stressed out, it really helps me to pet the dogs. I also love to give them belly rubs. Seeing the pure ecstasy on their faces makes me smile and helps me to forget my worries. When I come home from a long day at work, all my worries melt away at the wagging tails and happy doggy grins. 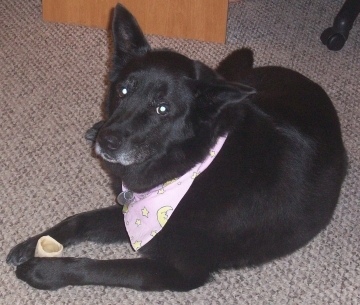 Boost self-esteem – My childhood dog Cassie really helped me with this one. If kids made fun of me or my parents were mad at me, Cassie always made me feel special. Dogs are really good at making you feel like you are the most important person in the world. Make me laugh – When Sephi did her cute talking, when Maya starts dancing around with one of her toys, or when Pierson makes his funny growl and jumps around, I can’t help but to smile or laugh. Laughing is an everyday thing in this household and studies have shown that people who laugh the most live longer healthier lives. Fun to play with – My dogs love to play. Watching them have fun brings a smile to my face. I love it when they fetch a ball with great enthusiasm or get excited over a fun wrestling match. Relaxing – There is nothing more relaxing than cuddling with a dog. Maya is really great at this. Comfort when I am sad – Sephi used to bring me her toys whenever I was sad or stressed. I suppose she thought that since they made her happy, they would make me happy. Well, they did make me smile. Maya likes to cuddle if I am sad. I’m not sure what Pierson would do yet. Positive outlook – Maya is scared of nothing and excited about everything. The joy she gets out of the simplest things has rubbed off on me. Being positive rather than pessimistic has also shown to be healthier for people. Stay healthy with regular exercise – I hate most routine exercises. But I love taking the dogs for a walk. If it wasn’t for the dogs, I would be an unhealthy couch potato. Anti-depressant – There was a time in my life when I just didn’t want to get out of bed. I wanted to hide under the covers and dwell on the sadness. But my dogs wouldn’t let me do it. Because of them, I had to get up and feed them, I had to take them for a walk, and so on. While at the time, it seemed like a terrible chore. But because of them, my depression never got too severe. Tell us what special qualities your dog has What does your dog mean to you? I am so happy that spring is finally here. I still took my dogs for walks in the winter but other than that they did not spend much time outdoors. Now that spring is here, we can all enjoy the sunshine and warm weather. For fun in the sun, here are some fun things you can do with your dog this spring too. If your dog enjoys sniffing around, trail walking, and/or playing with other dogs, the dog park is the place to be. This is my Labrador Maya’s most favorite place to go, especially if it is the Shawnee Mission dog park where they have a water front for her to go swimming. If your dog park doesn’t have trails for walking, you can still take your dog on some fun nature trails. The only difference would be that your dog has to stay on a leash. Use a longer leash if you’d like and let your dog explore nature. Be sure to pick up after him and make sure to bring him closer to you when you walk by other people on the trail. Not all dogs like the dog park and some like my Aussie mix Pierson don’t do well with other dogs at the park. Play at home instead. If your dog doesn’t already know how, teach him to play fetch with a ball or frisbee. Perhaps you can teach some agility with a make-shift agility course. Pierson loves to jump so I am thinking about teaching him to jump through a hoola hoop. I can also teach him to jump over a pole or crawl under it. Take some big cardboard boxes outside and make a tunnel for your dog to run through, blocks of wood for steps to go up and down. Agility can be fun. Find-It is a fun game your dog can play both indoors and outdoors. Hide your dog’s favorite treats and see if he can sniff them out. Careful not to encourage digging. A game where you call your dog back and forth is a fun outdoor game to play. This game also teaches your dog to come when he is called. Two people stand on either side of the yard and call the dog. When the dog comes, reward with lots of praise and possibly even a treat too. Make it as rewarding as possible. How about playing in the sprinkler or with the water hose with your dog? If your dog likes water, maybe they will like this too. 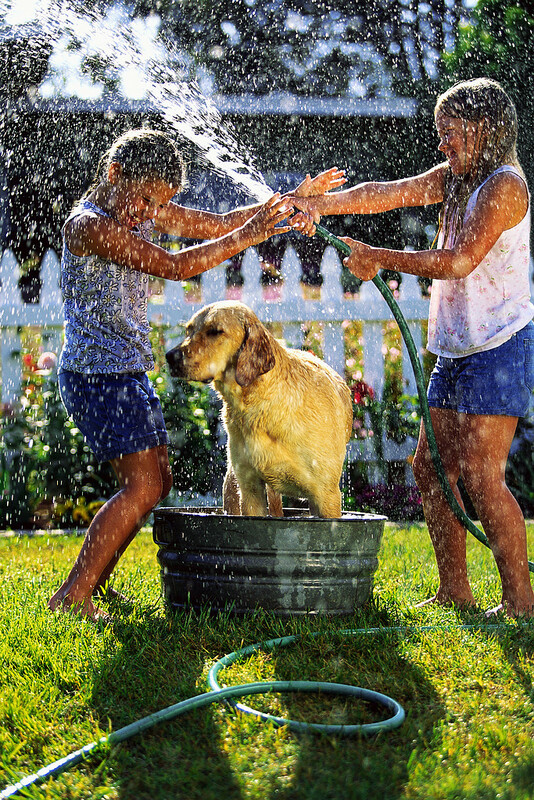 Make the water hose fun by seeing if your dog will catch the end of the spray. Don’t use a spray that is too harsh or it will hurt your dog. Get your dog to run after you as you run back and forth over the sprinkler. Make bath time a fun event. Despite the fact that I still took the dogs for walks this winter, it was not as often. And so some practices, such as walking properly on a leash, have been a bit lax. Spring is the perfect time to brush up. Reteach your dog to walk properly on a leash, have him sit automatically whenever you stop walking, practice stay in the back yard with distractions, etc. If you have a place where you can take your dog swimming, spring is the perfect weather for it. Some dog parks have a water front. And some out of the way lakes or rivers may have areas where dogs are allowed to swim. 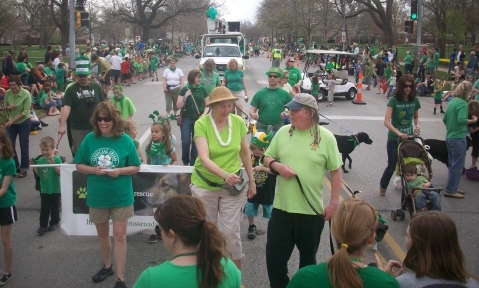 Find some outdoor pet-friendly activities in your area at DogFriendly.com. You might be surprised to find that some restaurants with an outdoor patio allow dogs. Some shops allow does to come inside. And some botanical gardens too. After a fun day outside, it might be fun to just lay around in the shade. Enjoy the fresh air and take a nap under a tree. Or you relax and read a book while your dog rests in the shade. There are so many fun things to do with your dog this spring. Enjoy the beautiful weather with your best friend, get some exercise in the meantime, and have fun! Hypothyroidism in dogs is relatively easy to treat but can be difficult to diagnose if you don’t know what to look for. Some symptoms are obvious but not all dogs have the obvious symptoms. My dog Sephi, for example, did not have the obvious symptoms so went through a lot of treatments and harmful medications before a vet thought to check for hypothyroidism. Since testing for hypothyroidism is easy and relatively inexpensive, take note of all the following symptoms. If your dog exhibits even one of them, have him tested. According to a pamphlet I received from the Banfield Pet Hospital where Sephi was treated, hypothyroidism commonly occurs in middle-aged or senior dogs. My dog Sephi got it at age six. Certain breeds are also more susceptible: Dobermans, Rottweilers, Cocker Spaniels, Dachshunds, Golden Retrievers, and Scotties. According to Banfield, there is no way to prevent a dog from developing hypothyroidism. One symptom of hypothyroidism which I failed to notice was that Sephi was sleeping more than usual. Since she was six years old and since the change was gradual, I attributed it to old age. Your dog can also exhibit depression or possibly even aggression. 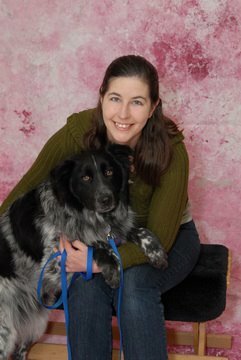 Sephi also had aggression issues, but I mistakenly attributed it to her breed mix. Consider having your dog tested for hypothyroidism for any sort of unusual behavior change. The main clue regarding Sephi’s hypothyroidism was her skin infection. Unfortunately, the first vet was trying to treat the infection rather than considering they underlying cause. The medication they gave me for her infection ended up causing liver problems which caused Sephi undue suffering. If a dog has hypothyroidism, it is more difficult for them to fight off infections. Infections resulting from hypothyroidism include dry skin, excessive shedding, hair loss, darkening of the skin, ear infections, and pale gums. Dogs with hypothyroidism can also have problems with weight gain, weakness, constipation, or neurological issues such as sagging on one side of the face. Don’t confuse some of these symptoms for old age. And don’t be afraid to ask for a simple hypothyroidism test if your dog has an infection of some kind. If left untreated, hypothyroid symptoms can get worse and could cause other severe health issues. Treatment for hypothyroidism is generally very easy. Your vet will ask to have their blood tested a few times while the medication dosage is being determined. And the medication itself is very inexpensive. Do you suspect your dog of having hypothyroidism? Have you ever had a dog with hypothyroidism? Share your experience with us and our readers. We’d love to hear from you. 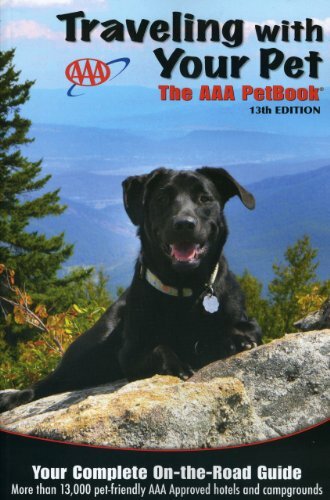 If you are a AAA member and love to travel regularly with your pet, then “AAA Traveling with Your Pet” can be a helpful book. However, it is not for the one-time traveler. You can get more information online for free. 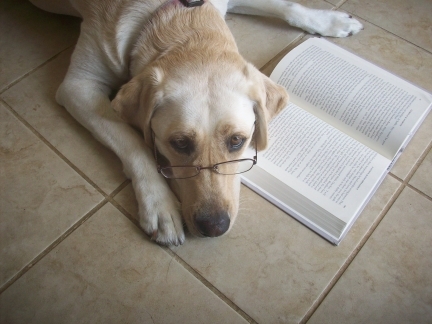 For a full book review, visit our Pet Auto Safety Blog. I like for my dogs to eat healthy food, but I could never tell which foods were best. They all claim to be healthy for your dogs but which are the best ingredients? 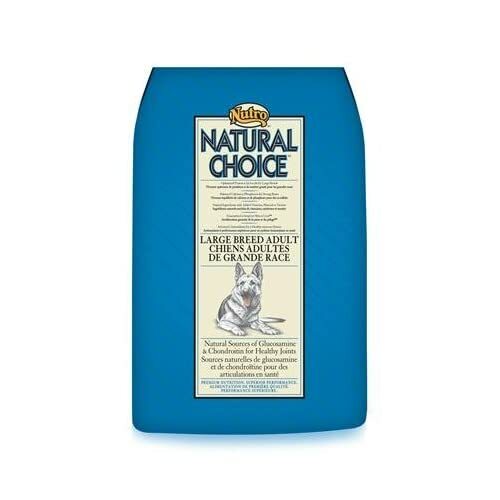 When I found this article titled, “A Great Commercial Dog Food“, I found the answers I was looking for. The first half of the explains what certain terminology means, such as “byproduct” and “meal”. Then it goes on to explain the difference and why one is better than the other. It also talks about other ingredients on a bag of dog food. 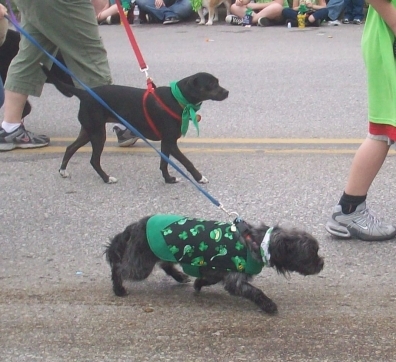 The second half of the article talks about a healthy commercial dog food called Nutro. The first time my dogs had it was when I first brought home my dog Pierson. Since he had been living as a stray for nearly a month, the pet store where I took Pierson to get a bath recommended it. Not only did the dogs love it, but I was very happy with the price. Finally, a healthy dog food which doesn’t cost a lot. If you are looking for a healthy commercial dog food, consider Nutro. Most pet stores should carry it. Also, read this great article, “A Great Commercial Dog Food” found on Hub Pages and written by Hub member DogAdvisor. Brush your dog's teeth so they look healthy like Maya's. Brushing your dog’s teeth is an unpleasant task for both you and your dog. But for most dogs it is a necessity. Keeping your dog’s teeth clean can prevent health issues and will help your dog keep good strong teeth even in old age. When I got Pierson in January, I could tell by the shape and newness of his teeth that he was only about a year old. This was confirmed by our vet as well. But because Pierson had been living as a stray for nearly a month and eating god-only-knows-what, his back teeth were filled with gunk and plaque buildup. I seldom had to brush Sephi and Maya’s teeth because they were good chewers. Help your dog keep his teeth clean by giving him chew toys. You should always supervise your dog when he chews. And be careful about the kind of chew toys you give him. Rawhides and such can be okay so long as your dog only chews on them. I can’t give Maya a rawhide because she eats and swallows it in big chunks. Another thing you can do to help your pet’s teeth is to feed him hard food. Don’t give him canned food. This soft stuff tends to get stuck in his teeth. And unless you brush your dog’s teeth immediately after he eats, soft food can cause faster tooth decay. Before brushing my dog’s teeth for the first time, I let them get used to the toothbrush. I would show it to them and let them sniff it. Then I would give them lots of praise so they learned to associate the toothbrush with good things. After a few days, I would put the toothbrush in their mouth, but not brush. Again, I would give praise. Over the course of the next several weeks, I built up to actual brushing. I worked my way up from a couple of seconds to several seconds, and worked my way from the front teeth to the harder to reach back teeth. Yes, my dogs hate it. But over time, Sephi and Maya learned to tolerate it. I am still working with Pierson who has had less than two months experience. Do not use your own toothpaste on your dog. It has ingredients in it which can make your dog sick. Unlike us, we learn to spit out the toothpaste. Toothpaste for dogs is specifically designed so that your dog can swallow it without ill-effect. 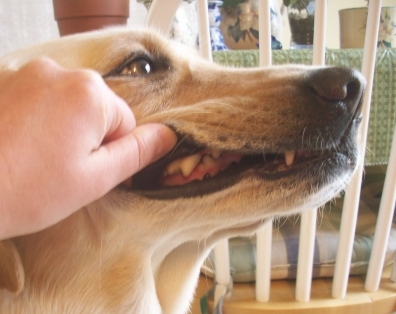 Always try to make brushing your dog’s teeth as positive of an experience as possible. Try not to give treats as a reward as some dog toothpastes say your dog shouldn’t eat or drink immediately after brushing. Give your dog praise or a non-destructible dog chew toy. If you brush your dog’s teeth every day, it will get easier and easier over time. The more you do it, the easier it will get. Once your dog gets used to it, some products (like the product I use) allows you to reduce brushing your dog’s teeth to 1-2 times per week. I never had to use toothpaste for dogs for Sephi and Maya. I just used a toothbrush only. But because Pierson’s teeth are so bad, I needed to start using toothpaste. 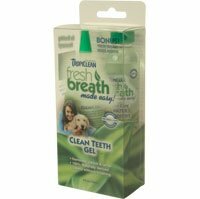 After researching online and visiting a local pet store, I found this great product called Tropiclean FreshBreath toothpaste for dogs. This product says I don’t have to use a toothbrush, just put it in my dog’s mouth. His tongue will do the work of spreading the paste around. But it also says that using a toothbrush can help the product work faster and better. Another great thing about the Tropiclean toothpaste for dogs is that it is one of the products which says that once my dogs’ teeth are clean, I can reduce usage to 1-2 times per week. Tropiclean toothpaste for dogs is a greenish gel and it is easy to apply. No messy tubes. Not only does it help to reduce plaque and tartar, but it also kills the germs that cause bad breath, plaque, and gingivitis. Brushing your dog’s teeth is not the most fun you and your dog will have together. But with positive reinforcement and consistency, you can make the experience better for both you and your dog. And once his teeth are clean, you can reduce the number of brushing sessions with a product like Tropiclean. Here are the last two of our eight funny dog commercials pick. These two are our most favorite. I laughed so hard at the Ameriquest one. Subaru has a whole set of funny dog commercials that you have got to see. The one shown here is our favorite. 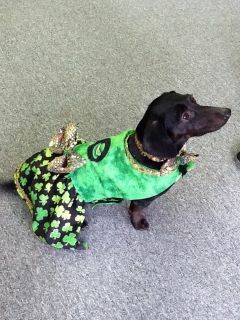 Be sure to stop by tomorrow for our featured pet article. Four great dog commercials so far, right? Here are two more cute dog commercials. Plus there will be two more tomorrow. Here are a couple of funny dog commercials made by car companies. Since many of us dog lovers travel with our pets regularly, it is only fitting that car companies have caught on. Check out our yesterday’s pick of funny and cute dog commercials and stop by again tomorrow and Friday for four more funny dog commercials. Then check out our pet article on Saturday.